Kass FM broadcasts in Kalenjin and is currently the leading radio station in the entire Rift Valley according to all the research firms reaching out to about 5 million listeners daily. The station broadcasts in the following regions. Nairobi and its environs including Machakos, Thika, Kiambu and Limuru. Rift Valley, which includes Nakuru, Eldoret, Kitale, Baringo, Kapenguria, Timboroa, Gilgill, Naivasha, Bomet, Latin and Kericho,Coast region which includes Mombasa, Malindi, Mtwapa, Changamwe, Ukunda and Kilifi. Parts of Western and Nyanza including Kakamega, Kisumu and Kisii. All over the world online. 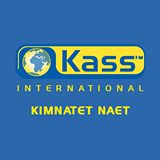 Kass listeners wherever they are can interact making the world a ‘‘village’’. This has brought together our listeners and promoted the sharing of ideas with our people abroad. Kass Media Group is pleased to announce the start of Kalenjin Language Lessons. Classes will start on 18th November 2013 to 18th December 2013 at MOI EDUCATIONAL CENTRE NAIROBI. Children and youth aged between 6 and 18 years are invited as well as anybody above 18 years interested in learning the Kalenjin. Classes start from 9am to 12pm and the afternoon session start from 2pm to 4pm on weekdays. We also have Saturday lessons for those who cannot make it on weekdays.